An exceptionally well done 17″x24″ poster showing some of the chemicals that are found in smokeless “spit” tobacco. 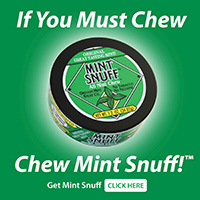 Great for schools, seminars, displays and other public showings. A 17″x24″ poster showing a mouth that has been operated on due to cancer. 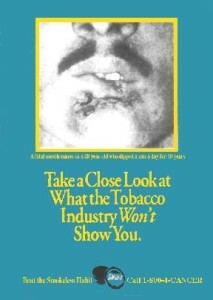 The copy underneath the photo says: “A fatal mouth cancer in a 29 year old who dipped a can a day for 10 years.” Great for schools, seminars, displays and other public showings. 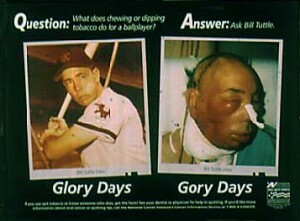 A graphic poster of how baseball great Bill Tuttle looked after surgery for oral cancer. 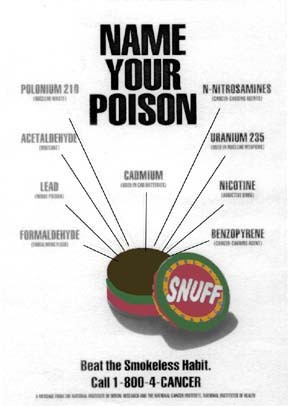 A high impact poster great for schools, seminars, displays and other public showings. 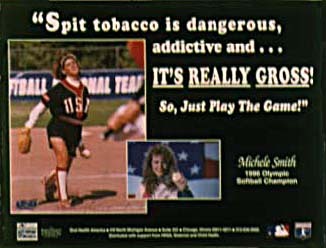 Softball star Michele Smith proclaims how spit tobacco is gross from a female point of view. A great poster great for schools, seminars, displays and other public showings.